And here we finally arrived at the last day of the year 2008. It was not the easiest year for us, although there were the good moments too. Now just let's hope and try also that the next year will bring us health at first place, and some surprises but then GOOD ones. I had a little phonecall with Heidi yesterday, in which I told her we were not coming to her house to celebrate the New Year. Of course she was a bit disappointed but she also could understand it. I always find it difficult to leave the house at say 22.30 o'clock, just when you are sitting cozy and warm on the couch. But although it may sound weird to you, the main reason for staying home is the cats. Already some fools are blowing some fireworks in the last few days and I notice that he cats are more nervous and itchy even. As long as we are home, they feel safe and you never know what happens, if you're not at home around midnight today. They might startle from something, go out and some fool could hurt them or so. No, I better be home, we probably will close the hatch for a moment around midnight so that they stay inside and I feel much more at ease. It might be stupid, but you have to take care for your pets, isn't it. So Jan and I will be "lonely"at home, but don't pity us, we like it. We can watch whatever we want to, have some nice snacks from the oven and some toasts with smoked salmon and french cheese and so and we will be allright. So funny with me, when the clock strikes 12 I always think back a bit over the years passed by and I always get tears in my eyes. Also when I embrace Jan to wish him all the best for the coming year. I am sometimes a terribly emotional type, it seems! Okay, may be I will have to do a few little things today, may be quickly a last shopping and then I can spend some time at the computer too. I made another challenge yesterday, I will show it to you in a few days. During my break I made a serie of kits, all about color. We will start with it today, may be in the coming days another kind of kit will pop up in between, but I got that luminous idea all of a sudden, LOL. They are rather "general"kits, very easy to use for all kind of things,which may be useful too, sometimes. Today we start with the blue, I gave the kits Italian names, this language sounds soooooo romantic, LOL. So it is Azzurro, Colore del Mare = Blue, color of the Sea. Now I wish you all a very good and joyful New Years Eve and a fabulous start for the New Year! And THANK YOU for being so loyal and caring visitors! Just a little note: may be tomorrow I will not post, on the first day of the year, it might be I am in dreamland for a loooong time, hahahaha. I suppose it could be a bit late today. So don;t startle if you see no post tomorrow, I am probably just catching up some sleep. Next day I certainly will be there! Soon the year will be over! Just two more days and we will be in the year 2009 already. It's all passing by in a flash. Yesterday I did some shopping for New Years Eve, and I must say it is feeling cold around here. The last few days it was freezing and in daytime it stayed on very low temperature also. Now lots of people are looking forward to skate on natural ice, but I am certainly not! I hope this freezing bit will be over very soon. I still could do a bit of "work"on the computer yesterday, but I hope to do more today. Just have to do a few things in the house, but nothing really time consuming. Dinner is already prepared, because yesterday I made potatoe mesh with sauerkraut mixed in and it pays to make a rather large portion of it, so we will have that too today. Only have to put it in the oven! And you know what? It always tastes better the second day. And if there will be left overs still, there is another solution for it. You frie it in a pan, take a fresh white sandwich and put the sauerkrautmesh on it. Oh, that is soooooo yummie! So on to the new kit. It is a bit of fantasy, see related. Can you guess???? It's about mermaids and named "Song of Mermaids". I had enough now of Christmaskits and New Years kits so took something totally different as theme. Hope you will like it. I made it in a color scheme that might remind you of the sea. Then for Januaray there are already a lot of challenges up, so I will have another busy month to look forward to! Snowy from Magickal Scraps had not a nice evening yesterday. Suddenly the site was out of the air and seemed rather scary. After hours, thank God, she managed with the site provider to get it back in the air again. I don;t know yet what was exactly the cause of the trouble, but that kind of thing nobody is waiting for. It could have been a kind of hacking or worse. Well, it's working again and let us hope it stays that way! I don't know how many of you took a look at the forum, but I can advice you to do so and perhaps join it? It is a nice litle community, with scrappers just starting and others more experienced. Where we can we try to help eachother, lots of humor going on there too. So why not challenge yourself in joining and try to participate in a challenge? You will see how much fun it is and on top you receive beautiful gifts too. Okay, that's it for today, hope you will enjoy the freebie. Nice day all!! Here I am again! I hope you all had a great and warm and cozy Christmas! I first want to thank all who left me all the warm wishes for Christmas in email, in the comment box or in the shoutbox. It's is really appreciated, have a big hug for that! To see it bigger just click it. The year 2008 is really running out now with big steps, so for today I made you just a little New Years kit. Amazing to realize that in a few days we are already in 2009! Looking back on the past year it seems it flew away! Okay, here is the preview and downloadlink, hope you are happy to see I am back again, so there will be a freebielist again this evening, and till tomorrow! I am having a break. Then there is a "Kitchen"challenge. We were given one color, which we could use, make different gradienst and then had to make 6 papers and then also make kitchen utensils, accesoories or whatever you need in a kitchen. I am not sure what else we will have to mke for that kit, perhaps still some other embellishments, I suppose. The idea is, that at the end, all contributions would make a substantial kit. It's a nice one. Here I can show you already what I made of it. Wow, I do have a lot today in the post, isn; t it? But we are almost done. Now the tricky part. How difficult t will be to keep it up, I don;t know, but I will try to have a break from the blog for a few days. Or if it;s too hard for me, could pop in for a second, to write something, but there will be NO freebies for a few days. Oh, don;t worry, just after Christmas I will be there again. But I think that it's good for me, to focus a bit on the designing, putting up some "stock"again, trying out some new things and ideas etc. And then Christmas is there, and I surely will be be on my puter but most of the time I want to spend with Jan, on the couch, having nice snacks, watching all that there is on tv, well, just trying to have a good time. So probably Saturday I will be back as usual. May be I will not leave you completely and still put up a few freebielists. We will see. Just check from time to time and don''t abadone me!!!!! It's just a mini tiny break, I am not giving up on you!!! Hey, what do you think??? You are a part of my life in a way, so I will cherish that always! Here is the kit, I hope I am not breaking any rules of the forum by offering it now as a freebie. Well, I should have checked before, but now I cannot ask because nobody is there at this time. So I;ll dive in it and see later. Naughty girl I am, yes!! And now, dear visitors, I wish you an awesome Christmas, all in good spirit and cozy and see you back soon. I had a real short cut! Today I have a whole different look, yes! I had my "short cut"yesterday, or in other words I've been to the hairdresser. No need to say I am feeling great with the hair very short! Not yet milimeterized but it's coming close! It feels MUCH lighter. So all in the mood, after I first did a short hopping, I cut Jan's hair too ! I'm not saying I am a professional in it, but it still goes better. So we are all neat and well hair-dressed for Christmas now. What did I prepare for you this time? a may be little bit wierd kind of kit, don;t know at all if it;s worth something, but it just came out this way. You could say it has a bit of Gothic-like style, it could be the influence of Snowy, from Snowraven's cave and our forum, LOL. Anyway, here it is, all in purple, a bit mysterious, a bit dark, maybe even a wee bit scary and named "In Dark Woods". And I am going to have to do a lot of work today, if it will come out of my hands. But first I have to get a brain flash for an idea for a new kit. Hey, if there is anybody who has an idea, put it in the comments, you never know what may come of it, hahaha. Enjoy your Sunday, it's getting exciting, isn't it, just with Christmas a few days ahead? Hope Santa will be nice to you. Really have to be quick this morning, I have an appointment at my hairdresser(at last) and it is rather in the early morning today. I kept pushing it forward and forward, and it's amazing how quick time has passed since the last haircut. Now it REALLY has to be done. Oh boy, the feeling must be GOOD to have a the hair in a model again, nicely short, wow!!! Then in the afternoon I must be hairdresser myself, Jan has to be done. And if she's home and not too busy, I will try to pay finally a visit to Heidi. I will post now the kit. It is my LAST Chrisstmaskit for this year. Yeah, I know, you probably have seen enough of Christmaskits by now, but I had still soo many pictures and papers (I actually scanned one of the papers in the kit of a paper I had , wow,) that were too nice not to be used. So here the kit came"Dear Santa" a bt of vintage looking, with some beautiful pictures of old Santa's. I hope you will like this, it's in traditional colors. Now I must hurry up, still have some posting to do on forums may be a few quick things on a challenge I am working on and then get dressed and to the hair dresser. Have an aweful nice Saturday and enjoy yourselves! Yes, Jan and I went to that supermarket, with my shopping car and imagine, at the end we seemed to have bought just the right quantity, I could just pack it all in the car. After we came home I right packed all out and stuffed it all in the fridge and freezer and so on. I am ALMOST ready now. Just have to bu a few things more, but that can be done only the day before, to have it fresh enough. Wow, I am so happy that is done. Then I left the rest as it was and jumped at the computer. Had to finish a download for you. Pfffff, I bearly did. It will be a small one, but hey, at least there is something, LOL. Then I had to go on with another kit, and I even made the masks for yet another kit and this morning I forst went to the forum to check around and OH BOY, these challenges!!! They are so fun to do, but Snowy is much to inventive with the ideas and than there are a few more who are making a challenge each month. So now I am stuck with about 4 or 5 to make!!! And for some a little search is needed on internet AND on the bookshelves, so don;t you have a little bit pity on me????????????? Please????????????????? Because of course the "work"goes on on the blog too, with downloads to make for you. Well, it's lovely to do, don;t misundertand me! I am still enjoying each day the Christmas look of my room, you know. Looking around, seeing all the stuff and lights, it's so cozy and warm. Pity it has to go after the 6th of January. Yes, till then it all stays, because on the 6th of January the 3 kings arrived at the manger, so we 'll have to wait till then, and for one day the kings will be IN the stable(now they stand a bit on the side, as if they are still travelling) and only then we can put all back in "normal"order. And when its all in the boxes again, you suddenly have a much bigger room and that's a nice feeling too. Well, I must do some things today, one of them is cutting Jan's hair, probably a washing to do, must not forget to phone my hairdresser, and I hope I will also be productive on the computer. And I have more things on the list, some of them could wait till tomorrow. We'll see what happens. Now here is the download for today. I made you 6 quickpages out of different kits of mine. I truly hope you can use some of them, I still have to learn a lot about making quickpages, but they aren;t bad. I wish you a good and happy day. How marvellous technic can be at times! It performce almost miracles! Why and how? I had a phone connection again yesterday! !After checking a few times, suddenly, towards the evening it made sound, I tried to phone and yes, it worked! Oh how happy I am. Hopefully it stays working, it did, till just a few minutes ago when I checked again. Well, that makes your day a bit happier. Then I have to be a bit quick in posting, because Jan has promised to go to the supermarket with me today, he already is awake, so we have to get ready. I am curious to know, how much we will find and finally buy. It can't be however too much because we have to do it without a car. Just my shopping car and perhaps one or two bags and that's it. But I am a wizard in packing the shopping car! I was also thinking that may be I will take a short break around Christmas, to get a bit on track again with the designing and still other things that have to be done I didn't decide yet, so stay tuned, the coming days I surely will be still there, and I will let ou know what I shall do. Now to the kit. It is a much smaller one, but it;s a sweet one and I called it "Sweeties". Looking at tge papers you will understand. It's again a bit vintage style, hope you will like that. So have a nice day everybody, and till the next post! And what I feared happened! So yesterday it happened!I had to make a phonecall, pickep up the phone and.............nothing! No sound! Oh, no problem I thought. The phonecompany finally shutted me out(as was planned) and now I have to plug in the internet wire and done! I plugged in in, with bouncing heart I picked up the phone and.........nothing! D.......d! And how to contact now the provider??? I have no mobile phone, so I tried with internet. I did get a message there, but now I am curious how long it will take before they will answer(if they do!!). This morning tried again, and nothing yet. Oh boy, is that annoying, having no phone. Well, I will give them today also and then I will try to phone them from Heidi's house. Must count with a LOT of waiting but perhaps it will do some good. But what especially Jan feared(and me too, ) happened. Let's hope it is just a short temporary annusance. But it always happens when you want to make some calls. It can happen that the phone isn;t used for days(really, we have it quiet in that) but when something doesn; t work you need it suddenly. Further on I did a few thing of my to do list, as I thought I didn;t do it all, so that must be done today and tomorrow, but still, I am a bit pleased with myself. Slowly we are getting there, at the point that all will be done before Christmas. With the digital tv we also are rather saitsfied. We have a special"Crime"net on it, and now Jan and I prepare ourselves every ! evening around 23.00 o'clock, with something to drink and snack, cats around on the couch to watch a French detective, Julie Lescaut. And it's GOOD! It is a rather long one, each part takes about 1 1/2 hours. So we don;t go to sleep too early now a days.But we enjoy ourselves. I hope to go today, WITH JAN, to a supermarket a bit further away, to do some shopping already for Christmas. It's a supermarket where most prices are a lot more attractive with still good products, and especially with meet and more "luxury things" e.g. smoked salmon, etc. it can save you a lot of money. Most of that you can keep in the freezer, so it could be a worthwile trip. Okay, with good hope to have a working phone again(when you give up hope you are lost, I think) I will leave you now with the 3rd part of Language of Flowers. Then have to finish another , much smaller kit. Well, at least I hope I can manage that. Have a good and not too stressful day, hahaha, and see you around! I see it on lots of blogs this sentence: "where has time gone?". Well, I could say the same. It's already the 16th of December today!! The year is almost GONE!! Just increadible. I still am running behind on my projects and certainly on the things to do list I have in my head. The things to do are jobs in the house, writing cards and letters, doing the necessary shopping tours, quick visit to Heidi and more. I wished I could split myself up in 3 persons!!!!! Well, I finished one challenge yesterday for Magickal Scraps, we received the picture or template from a tree and we had to make of it the tree of our life. It was hard to find the right things for it, and I am sure I left some things out, but I didn;t want to make the tree overloaded. Here it is, page one the tree and page two explanation of the symbols. If I do right again(always tricky with me, LOL) you will just have to click on it to get a bigger view. 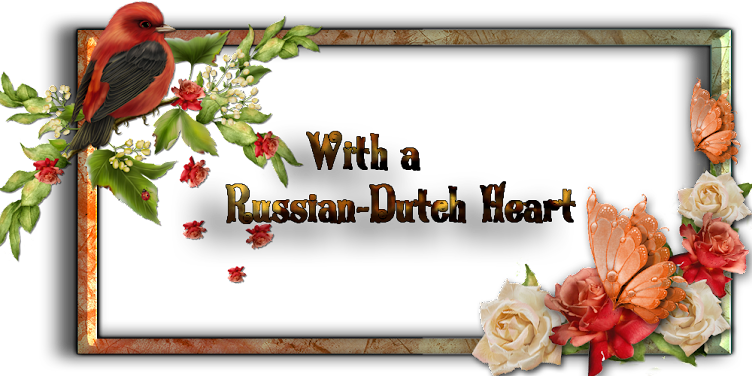 And now I will post you the second download for the language of flowers-kit. Not much interesting to read today, apart from the layout perhaps, but I have lots in mind to do for today(probably only half of it will be done, knowing myself, hahaha), but I can try at least. Did you have fun with the freebielist of yesterday?? 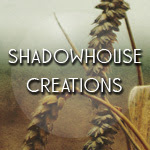 The second blog hop train was loooong, wasn't it? I managed to have a kit! What a fine and lazy day it was yesterday! I got up rather early, had a good nights sleep, we weren't expexting anyone to come, so I even didn;t bother to to put some clothes one, I stayed in me pyjama's and morning robe, and could do a lot on the kit I was working on. That's about the only thinkg I could do yesterday. You noticed I left you without a freebielist, I am so sorry, but I couldn;t find the time for it(and to be honest, I was a bit lazy, shame on me!). I;ll make it up to you today, there will be one again. I had hoped to do some more yesterday, especially the challenges, but no way. Had also some email to do, some blog hopping to keep updated a bit, so the day went by very quick. And after dinner just did a few this and that on the puter and then we watched some tv. But I must say it did me well! Obvious that there isn;t to tell very much so I suppose I just show you the previews from the kit we are starting today(yes, notice well: I said previeS, more than one, I couldn;t fit it on one), it will be in three downloads. The name is Language of Flowers, I found some cute pictures, with on it a flower and it;s meaning. Of course there are not ALL flowers, give me a break! But still I think there are 20! Really hope you can use it for some scrapping. I give you a small preview of the kit , but if I do it right, you can click it and see a bigger one, because the small one isn;t showing all so well, I think. Okay, start of a new week, I think with lots to do, because Christmas is coming very near now! Yes, I am running behind in all the things I have to do on the computer. I still have to start our chat challenge from Magickal Scraps, and another challenge also still waiting for me. And my stock is running a bit out, so have to work on new kits too. I started yesterday on a new one, and it grew and grew, and still have to do a lot of things on it. It certainly will be one in several downloads. Well, I went out yesterday, I didn;t want to too much, but sometimes you have to. It wasn't nice waether overhere. Just some degress above 0 bt with a nasty, rather strong blowing wind, which made it feel MUCH colder. Brrrrr, I did a very quick shopping and was glad to be at home again. This nasty weather had also an advantage, It gave me opportunity to defreeze my freezer. It was so full of ice, that the drawers didn;t shut alomost, so it was really time. But you are stuck with the stuff inside. Where to leave that, without defrosting? Now I could put all in some plastic bags and leave it outside. Cold enought to hold out for more than an hour or so, without defreezing. In the mean time the ice was melting from the freezer. With some help from me at the end, scratching it all away, I had A LOT of ice in the little bucket. I am glad I did it. Now all is nice clean again, everything on its place, and even have some more room in it. So I hope I will get something done on the computer today, I leave the house as it is, tomorrow I must give it again some attention, LOL. Still had a kit for you, with some nice papers I think, can be used for different things. I named it Happy Children. Have a fun day, and let's do some scrapping! I am not yet completely awake, I think. I had a very good sleep but I think it still was a bit too short. Yesterday evening(better say, almost night LOL) we had a nice chat at Magickal Scaps. I didn't quit till after midnight! It's always amusing to see what subjects come up in these chats, and boy, they are of all kinds. We also got a task to make, so I must work on it this week-end. Very insteresting one, of course I will show you the result of it. The rest of the Friday was smoothly going, how nice to say that!, I did some work on the computer and a kit and recived and answered an email from my niece in France. That was a nice surprise. We don't write eachother very often, mostly because we just don't take the time and I know my niece and family have really a busy life. But from time to time we let eachother know we are still alive and how life is going and we have eachother in our hearts, which is the most important. I just show you another picture I took yesterday evening, it;s an overview of my living room in Christmas dress. It's sooo cosy in the evening, you can see a great part of the ceiling, it's all covered up with little lights! (we have them hanging there all year throught, because it's too much work putting them up and getting them off each year, but only light them with Christmas and sometimes, when we have a special evening). It's a bit dark towards the end of the room, but hey, we are luckly to have a room of about 12 mtr.! All at the end is standing my piano. I give you also the link to a bigger version of the picture. Not all that good shot, but it gives you the idea how all the room looks. And on to the freebie. It's a very light coloured one, I think it gives you a kind of happy feeling, I named it Springfeeling in Winter. I think some of you could need a bit of that, from which I heard on tv. It seems to be rather bad weather in the north-east of America! Then I hope, you will have a very nice day, (did you get throught the freebielist of yesterday??? I am sure you will have to go through the blog train again, because some of the downloads weren't there yet, but isn't it an awesome collaboration?) and see you again tomorrow. It will be a loooong Friday. Wow, today will be really a loooong day. First of all because I was up real early this morning, at about 06.45 o'clock!!! Yes, a bit too early perhaps, but to go back to bed for maybe one hour, that's nothing good. So I made my coffee, watched a bit tv drinking it and then at the computer. I already want to warn you that today's freebielist will be a very BIG one, so be sure to come over to take a look at it, you surely don;t want to miss the goodies! Among other things there will be a HUGE blogtrain so really be prepared! Then this evening we have our monthly chat and challenge on Magickal scraps, and I must try to get some things prepared for the challnge. As it is late, at 2300 o'clock, you can see it will be a looong day for me. Yesterday afternoon I went into town(where I haven't been for months!) to take a look. I wanted to look around for a graphic program I am talking about for ages now. I saw two, one was Adobe Photoshop Elements 7 and the other I thought it was PSP CX2???? Not sure anymore. Now I am lost! Which one to take?????????? ?I want to buy it in a shop, not by internet, because I still don;t like to handle banktransactions via internet. I am probably nuts and VERY old fashioned about it, but so be it for the moment. I still can go out and have a look in some other shops for an Adobe Photoshop, or a PSP software. So it can take still some time before I actually will have it on the computer. But I want to try to make a right choice, because it is not the cheapest buy, so it must be a good one, cause I will not be able to spend another amount of money like this again on it(and I don't want to either, hahha). I walked around in town and looked in some other shops with other things, bought a few very little things, and after a while I just had enough of it and my back was protesting, so I went home again. Oh, I did buy a nice sweater for Jan, (he doesn't know it yet! )I think I will give it to him with Christmas. We agreed not to give eachother presents, but I cannot resist it and it was a good buy. 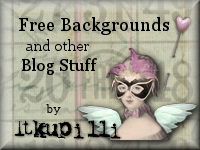 So let's move on to the freebie for today, which is a Vintage looking one again. I know, I did already some the past time, but every time i find some nice public domain pictures and so and they are just screaming to me:"pick me up, Kyra, and use me in a kit"!!! LOL. You will have to bear with me I am in this "vintage"preiod now, I think. But I know it can suddenly change with me, we'll just see how long this one will last. I just want to wish you all a fine and productive(hint, hint) day and don't forget to come back later today for the fabulous feebielist, because I am sure it will be a fabulous one indeed! My blog is appearing on more and more lists and I must say I love it. The wedding kit is going to appear in a January issue of a digital scrapper magazine, and now two kits already are shown on a NEW FREEBIELISTING BLOG. It's called Creative Busy Hands Digital Freebies Search List, and this is the link http://digifreebieslist.blogspot.com/. You might think it's connected with the Digifree listing from Maria, but it isn't. Totally new, but really nice. So check it out, you might find there also some nice freebies. If you do, leave a little message on the blog itself, it will be an extra push for her to continue! First one is the inspiration challenge, we got a picture of Thomas Kincaid and that had to inspire us. Second one is the quote/song challange. Under each picture I will give you a link to a bigger version, easier to read the text. For the above I useda bit of my Winterfun kit, and the snowflakes are from Snowraven's Cave. For the quote I used my O Holy Night kit. The kit for today is a bit of inspirational you could say perhaps. I found some beautiful doves and paper ideas, made a bit of a mix of it and here is a little kit. I suppose I can file this as a Christmas kit, although it can be used all year through. Just hope, you will like this and someho can use it. That's about all for today. Have a nice day, and off I go in a few moments to get my second cup of coffee and then a bit to the "designing"part, a vague idea for a new kit is tumbling around in my mind. We'll see if it comes to a kit.! Calling designers and designers to be!! Yes. I start witha designers call, which is actually done by Snowy, from Snowraven's Cave and organizer from Magickal Scraps. She is calling for some designers or designers to be, all to read on her blog exactly and I am putting up the "advertisement" here also. I even have it for the moment in my sidebar. I think this is a wonderful opportunity to be part in a little comunity, Magickal Scraps, to show your designing skills, be it for having a little shop, or just to learn how exactly to design scrapkits. Please go over to Snowy's blog also, where she explains all in fine detail. For some of you, already long time thinking about doing this kind of thing I think it's a great chance! So think about it and grab your courage and come over! This done, I think it is time to post the freebie. I am all out of my usual doings today, because I overslept a bit. Yeah, Jan had to wake me up! Well, I suppose I just needed some extra sleep. Don't talk about beauty sleep, because at our age that doesn't help very much anynore, LOL LOL!! Yesterday I had to do some shopping, and I did turn on the washing machine and hang the stuff. In the mean time Jan was being great! I only asked him if perhaps he could run a quick hoovering through the house, but he also dusted all, took all the boxes back on the closets from the Christmas stuff, organized the reading stuff under the little table near the couch( there are the remote controls, tv guides, and slowly it grows full with other magazines, some books, one or two cookie tins and all kind of other little stuff, ! ), so now you can see what it there again. He did some other small jobs, which waited for a loooong time, so when I came home from shopping, voila, much was done already! Sometimes he has these great moods, I love it.!!! ............................................................................................................. yes I am back again, no not yet again ....................................................................................... yes, done!!! HAHAHAHAHAHAHAHA. So sometimes it works like that and almost always just when I am typing. Hard to keep up concetration and to remember what you wanted to put down. No more rambling, I am done for today. Have a happy day, I hope you enjoy the kit. Wow, I think I am almost ready with the Christmas decoration. Yesterday I did another part and I even took some pictures!! They are not fabulous, but you could get an idea of my Christmas thing. The tree and the manger are standing opposite of eachother, cause they don't fit together i my room. Normally we had a tree standing on the stable but as we have a slightly bigger tree now, I had to saw a piece out of the ceiling to get the tree in that position. So I arranged it differently, the last few years. This year I didn;t overload the tree with decoration(each year it turns out different a bit) so it may seem a rather "empty"tree, but in real it isn't bad at all. So I'll show you a tree picture, one of the corner with the stable and "landscape"(notice all my bears with their hats!) and one taken from a different position in the room with in front my BIG bear who is, as always, wearing a Russian hat! And if you look well, on the right side of the bear you see some wire laying on the floor, well, just there is my desk with my computer! I am really happy it's all about done now! Then we were at the hospital yesterday. and we received but good news. All values were better again, the doctor was proud of Jan, of his still not drinking any alcohol, his liver is restauring itself slowly(well, it never will completely, but a great part of it still can) so all good news. She is a very nice and honest doctor, Jan has some faith in her and he feels he can talk to her and she actually listens. He even didn't loose weight, in spite of the effect of the liquid removing pilss he has to take still. So he lost again fluid but is still at about the same weight as the last time. Good sign also. But I must say he eats a lot better, and with taste, and is becoming more of a cookie-monster as I am.LOL. So al that was very inspiring news, specially for him, of course. Next appointment will be in March. She just wants to keep him controlled, which I like very much! Well, all by all you could say we had a happy day! Let's see if I can make your day a tiny little bit happy with the new kit. I came across some drawings of people performing some "old"professions ( and they are done with a little eye-wink) and thought it was nice to make something with them. So here you are. Some of the embellishment I kept in a smaller size, because in origing I meant them to fit on a frame. See for yourself in the kit and you will know what I mean. Rather long stretched post, I suppose, but that is also due to the pictures. Now there is left just one thing: my wishes to you for a very nice day! On posting the freebielist yesterday, I already told you I started the decoration, yeah! Jan started it all by bringing in the stable, made by my father! It must have the age of about 25 years or so. And then we got all the boxes with the Christmas stuff into the room. So I started with the corner with the stable and putting up the nativity set, the lights in it, then next to it the fireplace(which has a gaz heater we never use, cause of the central heating ) and I made it snowy and there they came, all my bears. I put them up their Christmashats and scarfs, the little village, a train of ceramic I have, also some lights. Then the tree was next. All started with Jan putting on the peak on top of it. It's a kind of tradition with us two, that he puts it on the tree and only then I start the decoration. It sounds if it was done in no time, but you probably know yourself, that it takes TIME and after it my muscles in my shoulders and back were a bit protesting! Mostly because you stand (and lie!) in funny positions. So after still some other small things I gave up for that day. So I hope to do some more this afternoon, but probably, it will take some more days to have all as I want to. I have the annoying habit, of looking around and then thinking, hey, that I could hang here or there, or hey, I still forgot to put this up etc. But a big part is done. I hope, I can make some good pictures of it so that I can show you. Now I must hurry up a bit, because at about 11.30 o'clock we have the appointment at the hospital for Jan for the "check-up". That always takes some time, it breaks up your whole day. So here is todays kit, "Souvenir of summer". It's a rather neutral kit, to use for a lot of things. Have fun with it, and have a nice day. And thanks everybody, for your wonderful visits and comments. It's a pleasure to read it every day!! I am sitting now(oh dear God, I am HAPPY to sit!!!!) in a Christmas atmosphere!!!! Yeah, I started today, tell you all tomorrow. But I ENJOY looking around in my room. First I want to point you to the last post of yesterday, titled NOTE OF ATTENTION. I received a mail that this name of the wedding kit was similar to a magazine and that that violated in a way copyright, because it could look as if this kit was made by, or for, this magazine which of course ins't So all of a sudden I had to remove the downloadlinks, the previews, put a new title on the previews and maps of the kit, geet the previews out of some forums etc. Well, I did all that, but therefor I made the message to you, that if you already downloaded the kit, please copy the "new"preview with new name. So there could be no misunderstanding if by chance you use it for credit or so I surely want you to use the new name "Love in colour" for it. Boy, I was in such a great mood of putting together a new kit, well, making new papers, masks, searching around for all kind of things I might need for it and this broke up the whole thing! Okay, I hope I did it all as wanted, I tried my best. Now today it really should be a busy day. As I already suspected a bit, we didn;t got to the decoration bit, but I warned Jan that today he has to take all the stuff into the room and that we will start this afternoon! I also must not forget to write a few Christmascards, especially the ones for the friends abroad, because I want them to arrive in time. The last few years I also send cards by email to some friends and so, but I try to have a different one for eveyone. You see, always there are some things to remember, to do and more to do, and around that the computer is asking it's attention too, LOL. 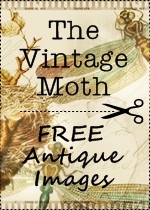 Now today I have again a bit vintage looking kind of kit for you, named it Great Grandma's Tearoom. I saw some textures and they made me thing of the "Sunday"room at my grandmothers a bit. In early days the rooms had a special fundtion. This Sunday room was the best furnished room in my granny's house and only was used when they got visitors for sunday coffee or tea or for specail occasions like birthdays. The rest of the time is was closed and all gathered in the room where the dinner table had it's place and everything was happening.! We don;t know that anymore, do we? So here it is, hope you can do something with it. After posting I hope to do some more on the new kit and then in the afternoon my room will be all messed up(I hope) with all kind of bxes and Christmas stuff! Enjoy your Sunday, and be happy ! Look at the posts at 5 and 6 December, where I changed the preview, also made new downloadlinks for the new named kit, so that all is going right. Sorry to bother you with this, but we don't want to get mingled in some nasty things. Yes, yesterday some small micracles (well, almost miracles to me, hahaha) took place yesterday. I almost did all I wanted to do in the house and so on, and then Danny came by(he was about an hour early!!! I was still in my pyjamas and robe and hears standing to all sides, you know that???) and we chatted a bit about all kind of things. Then he took a look at the connections of the digital modem with the tv, dvd and video. As was obvious something wasn't right, we had to make too many switches before we good look ad the one or other. And so he changed back and forth, at a certain point we didn;t get a screen when dvd was playing, but..... at the end wow!!! all worked as it should (only something with the video is still a little question mark, but he would think that over). It was as a miracle for me!!!!!!!!! And if I understood it well, he was going to look for us for a remote control that could work on everything. He had that one too and it works fabulous, he said. Well, if that will be there also, gosh, we are steps and steps and even miles further in the disovery of this item. LOL LOL LOL!! Danny is such a nice guy, you know. Sometimes he is a little "busy" stumbling over his own words, but if you ask for any help he is there. And he is not quickly out of mood, when something isn't going right. Well, sometimes, some !!!#####!! **** ... words or expressions are uttered, but mostly he always tries to make a joke of it. So, I hope today we will start the decorating business. When you are at the point that you actually take action, well, then it isn't a problem anymore. Then you only will have to take some time for it. But to get the courage(how eager you may feel, though) to take all the boxes into the room and unpack it, brrrrrrrrr. And then the fact of decorating and putting all up isn;'t bad at all, but after a few weeks, getting it all fit again in the boxes and clean the "mess", better not think of it now!!!!! On to part two of Love in colour. What do you think, is it something that you can use or not?? Anyway I will put up the link for the second download and tomorrow there must be another kit, which I have ready, yeah! I wish you all a wonderful Saturday, don;t go stressing too much over the shopping for Christmas, LOL, if you do every day one ore two things, you will be ready in time. It's mostly the presents that take most of your time, thinking of what might be nice for everyone and then FINDING it, and if possible also for a nice PRICE! It often happens to me, that I better can go into town unprepared, just look around and then I find the most jolly presents, just by stumbling upon something and I think hey, that's something for that or that person. For me it's the best way of shopping and most rewarding. And then what I like most is wrapping up! Making the present look nice, in a beautiful paper, with a nice ribbon and a nice tag, yes, the presentation is important too! Okay, no more rambling, I see it is cat's time, LOL! !